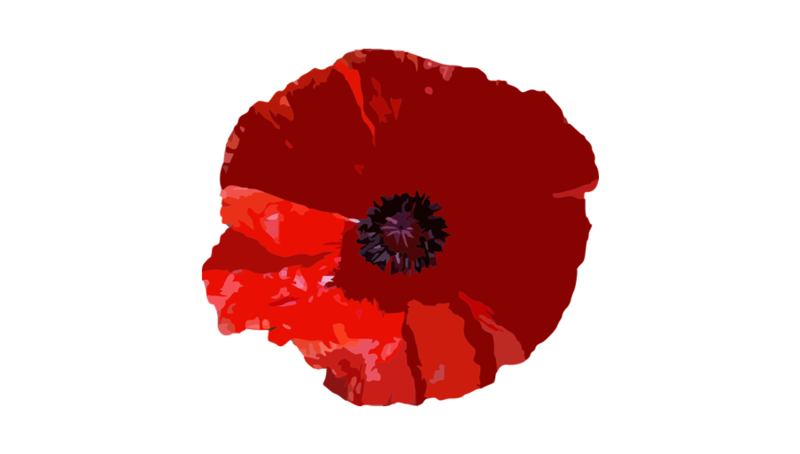 ANZAC Day is Australia and New Zealand’s national day of remembrance for all soldiers who have fought in wars and conflicts around the world. It is definitely one of the most significant days in the Australia and New Zealand calendar. A time to reflect, be grateful and show our respect. Participating in simple ANZAC Day activities helps our kids build understanding, empathy and respect around this special day in an age appropriate way. I love this one! All you need is card, glue, a pencil, 2 plates and scissors. Trace around a large plate and then a slightly smaller one inside. Cut around this to form the base of your wreath. Trace around each family member’s hand and cut these out. Simply glue the cut-out hand shapes onto the wreath and add a personalised message from your family. You can hang this on your front door, in your house or place it at a local memorial on behalf of your family. 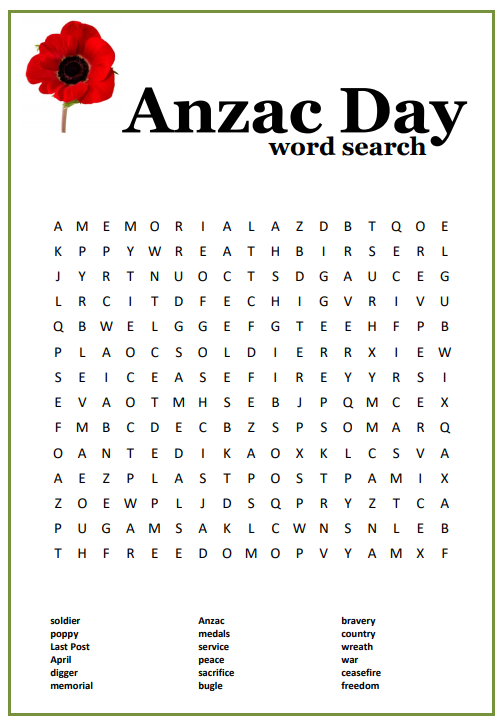 Click here for Soldier Colouring and here for ANZAC Day Word Search. Preheat oven to 170°C and line baking trays with non stick baking paper. Place the plain flour, oats, sugar and coconut in a large bowl and stir to combine. In a small saucepan place the golden syrup & butter and stir over low heat until the butter has fully melted. Mix the bicarb soda with 1 1/2 tablespoons water and add to the golden syrup mixture. It will bubble whilst you are stirring together so remove from the heat. Then pour the golden syrup mixture into the dry ingredients and mix together until fully combined. Roll tablespoonfuls of mixture into balls and place on lined baking trays. (Allow room between each biscuit for spreading). Flatten the biscuits slightly by pressing down with a fork on the tops. Bake for 12 minutes or until golden brown. Allow to cool on baking trays for 5 minutes before transferring to wire racks to cool completely.